The Church of Yeshua Ha Mashiach, led by Pastor Dennis Hodges. Located in San Diego, California, the church puts a great emphasis on the Hebrew language--the language of God. A native of Chicago, Illinois, Pastor Hodges grew in his faith early by attending Holy Name of Mary Catholic Church. Pastor Hodges received his formal education at Morgan Park High School, Southern Illinois University, and the International Theological Seminary at Bradenton, Florida. Pastor Hodges is a graduate from Ashford University, BS Degree in Criminal Justice. A former correctional officer for thirty-two years, Pastor Hodges worked his way up through the California Department of Corrections holding progressively more responsible positions such as Investigator and he retired as a Special Agent/Captain with the Special Service Unit-Office of Correctional Safety on September 1, 2008. Pastor Hodges’ burning desire to be taught the uncompromising Word Of God, in a church without denominational restrictions, led him to New Creation Church. Upon joining New Creation in September 1993, Pastor Hodges’ heart to serve caused him to become a member of the Usher Board where he was then elected president from 1994 through 1996. 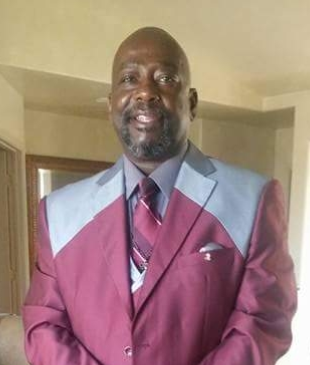 He currently holds the position as spiritual advisor for the southeast San Diego Usher Board. Also, in 2001, Pastor Hodges was appointed Chaplain of the city of San Diego Police Department. While attending New Creation Church, Pastor Hodges oversaw the Adjunct Ministry, which provided pastoral leadership with men and women who were anointed to protect and serve the Senior Pastor and the church ministry. Pastor Hodges also provided leadership for the Outreach Ministry known as the SWAT Team (Saints Witnessing Against The Enemy). On May 16, 1999, Pastor Hodges was licensed as a minister of the Gospel. Resolved to leave an imprint on a generation of men, the Holy Spirit spoke to this desire and on September 7, 2001, “Living Hope for Hurting Men” ministry was birthed. This ministry has effectively changed the lives of men who seek to place themselves under the authority of the Holy Spirit. Pastor Hodges was ordained a Pastor on September 25, 2005. On November 2, 2009, Pastor Hodges was appointed by Amos Johnson, Pastor Emeritus of New Creation Church, to lead and shepherd, the “Celebrate Recovery” ministry. This is a ministry of helps which supports others struggling with life issues. For over 19 years, Pastor Hodges and his wife Deborah have set out to live the God-given dream of a Kingdom marriage. Together they share five children and two grandchildren. Pastor Hodges’ motto is “don’t suffer from tooth decay – brush up on your bible everyday!!! He believes that there are no “secret service” Christians; we are to live, walk, and talk the gospel daily.